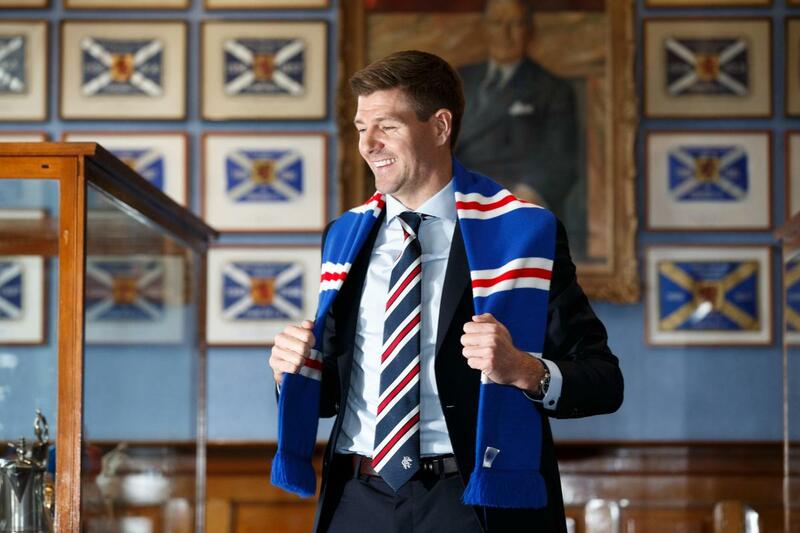 Ibrox Noise: What is Steven Gerrard thinking?! What is Steven Gerrard thinking?! There is only one man whose opinion at Ibrox now matters, and that’s Steven Gerrard’s. The new manager arrives formally to begin work on the first of June but will have been keeping a close eye on the closing matches of Rangers’ Premiership season, and it is safe to say he will not exactly have been impressed by the fare on offer. While a few individuals have had fleetingly decent matches here and there (Ross McCrorie, David Bates (moot), Jak Alnwick et al) the overall standard has been close to horrific and the Anfield legend is only too well aware sweeping changes or a massive hike in contribution from the squad, or both, are needed for his vision at Ibrox to be even remotely feasible. What Steven Gerrard will have seen on Tuesday night will have concerned him. Despite the opening 15 minutes being reasonable, the team crumbled after the penalty and failed to dig in or fight until 60 minutes when Jason Cummings’ introduction changed the shape and flow of the match. While it was hardly good enough, it was an improvement from the dross of the first half, and despite that limited renaissance, Gerrard knows only too intensely just how much improvement is needed because what is being delivered by this set of players is nowhere near acceptable. It is true to also argue they are not being helped by a formation which no longer works, and the alteration at Pittodrie did change things dramatically. Whether we will see something different from the start on Sunday remains to be seen. But there is little doubt the overall standard isn’t high enough. We covered an idea, a theory some weeks ago about how we’d know when we had a Rangers which was more akin to the accepted level – the number of genuinely active current internationals. Right now Rangers’ squad barely has one. John has only recently been recalled, Alves is only squad, Murphy just got his first cap and beyond these Rangers don’t have a plethora of cap winners throughout the squad, unlike yesteryear. But this is for down the line. Steven Gerrard will be making changes. The current level, which appears to have all-but secured third (Thanks Kyle, thanks Steven) is miles off acceptable for this club. We will see this summer what serious changes get made, but it has been over six years since we had a Rangers level squad. Hopefully Steven Gerrard is on the verge of building another. It's a good question Ibrox Noise, what is Steven Gerrard thinking?! I for one am still skeptical of Steven coming to Ibrox, however, he will get my full support and will give him time to prove himself. I was impressed at his interview when he was unveiled as manager. He has a strong head and appears confident. I think he will already have an idea who he is keeping and getting rid. Only time will tell and just pray that this is not just empty hype. I hope he builds a strong, physical and skilful team that holds no fear in playing in front of 50,000 fans. The beggars were there for the taking this season and we did not capitalise when they dropped points due to our very poor home record. New dawn, New era? "Bring it on"!!! !